Staff at Tesla’s lone assembly plant in Fremont, Calif., logged 22,454 days lost in 2018, up from 7,619 in 2017, according to a report the company submitted to the Occupational Safety and Health Administration. This surge outpaced increases in hours worked, total injuries and number of cases in which injuries caused employees to be absent. Safety has long been a flashpoint between the company and its critics, with some current and former employees saying Musk prioritizes production goals over injury prevention, an allegation the company denies. 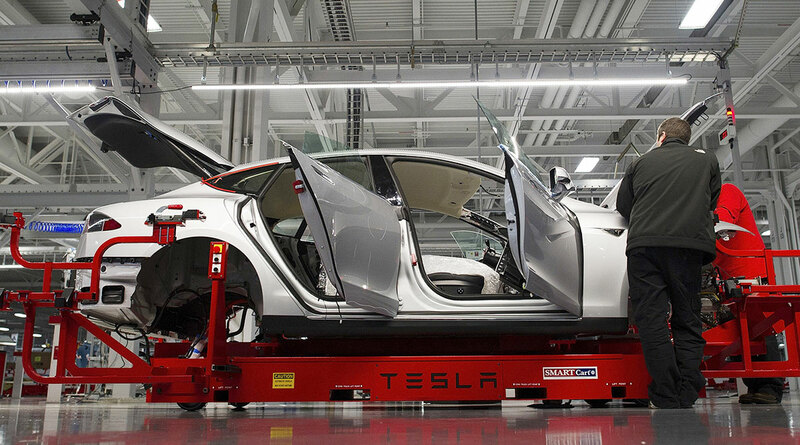 Tesla is appealing several citations from California’s Division of Occupational Safety and Health, including a proposed $82,000 fine related to a subcontracted employee whose fingers were caught in a torque gun. Musk keeps Tesla’s board apprised of injury rates, targets and safety activities, the company said in a report to the California Alternative Energy and Advanced Transportation Financing Authority for a meeting scheduled March 19. Tesla added 35 environmental, health and safety support staff in 2018; has spent $4.3 million since mid-2017 on ergonomic enhancements and has a team of industrial athletic coaches who specialize in “identifying early-warning signs of discomfort” and educating staff about preventing injury.